I don’t often admit that I’m flawed. Mostly because I don’t like to lie and I just don’t have that many flaws so my opportunities to admit it are few. But if there is something I am guilty of, and may be a character flaw, it’s that I tend to only review games from the bigger, more well known studios. Well, today’s gonna change that. Because I played a game from a studio I barely ever see on the big stage. Last time on the Swedish show! That Swedish Guy complained about graphics that tried to be realistic but failed. This time he’ll have to face this problem once again! Will he survive the encounter? Find out, further down in this post. Same Swedish blog, same Swedish blog post! When a new disease suddenly starts spreading, the medical world finds themselves at a loss. Spreading rapidly and 100% fatal, it would seem there is no other choice but to hope for the best. Well… there is one chance. The first patients with the disease were two young girls, twins, and while one of them passed away, the other is still alive. Unfortunately the young girl went missing and with her the last hope for a cure. Betting everything on this last chance, you take the last train into Oxford, ground zero for the disease, to try and find the missing Theresa where she once grew up. But not everyone intend to give you a warm welcome. The Twin Vaccine is what I like to call an “old HOPA”. It’s not actually old, it’s from 2012 which is only 4 years ago, but it looks and plays like an old game. 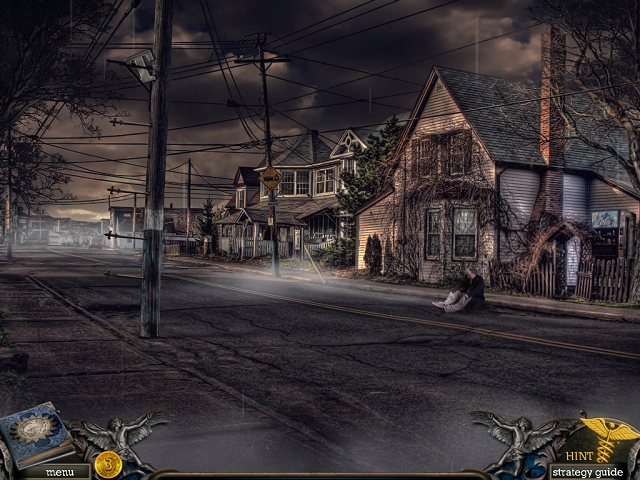 The graphics are reminiscent of something from the PC scene ten, twenty years ago and the gameplay is very bare bones. 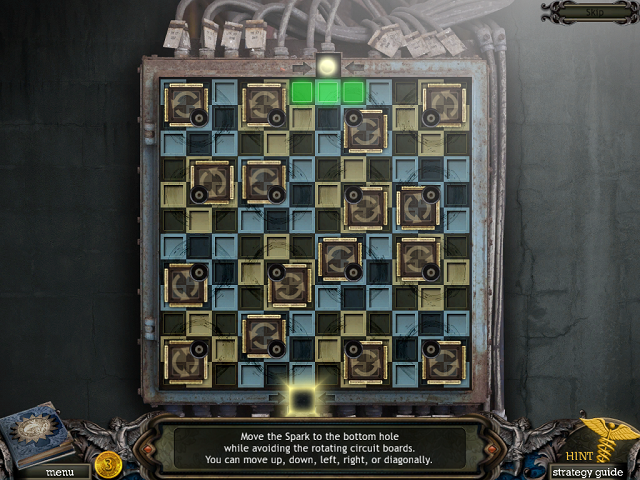 It’s almost the very strictest definition of HOPA in that there’s very little extraneous stuff surrounding the hidden objects, puzzles and adventuring. You find items, go to where the item is needed, get another item, repeat. Add in some hidden object scenes and puzzles and that’s pretty much the whole game. But… that’s not necessarily a negative thing. Sometimes it feels good to just get back to basics, remember why you actually enjoy the genre to begin with. Gone are the extravagant sets in high definition, no achievements to speak of and there are no collectibles or minigames that you can play instead of the hidden object scenes. That said, it’s hard to stand out in an industry overflowing with games that try to be as unique as possible to the point where the hidden object aspects are almost gone. Especially if your unique selling point is that you don’t have a unique selling point. But for me it works. Yes, it took me four years to get around to the game but that’s how it goes, I suppose. I wasn’t entirely sure what to expect since I didn’t really have frame of reference here. I didn’t know who had made it before, what little I did see of it looked… quite generic and no-one had really made any kind of fuss about it at the time. Except for this one site that named it the second best HOPA of the year (2012). So I had a very confused picture in my head of what to expect. But from the start it was clear that there was a lot of quality on display here, a lot of talent but almost more importantly passion. It did take some getting used to the graphics due to their unique looks but once that initial phase of adjustment I found the graphics to be quite fitting for the game and the mood it was trying to set. Since the story is pretty serious, the creators chose to the whole game down this serious route. Instead of trying to craft otherworldly yet realistic locations they simply went out and photographed a lot of different places then ran them through filters and touched them up by hand to make them look better than the real world. So even though it was a fairly small budget project (I assume) they still managed to pull off something that looks high budget for most of the time. They even included a “making of” video where they talked about how they went about making the game. I wish more games had this because it’s actually quite fascinating to hear their story, to hear them talk about what went right and what didn’t. They even talk about how they animated stuff which was really interesting… even if I knew most of the techniques already. This is what I expect whenever some has a “making of” video in their game and I’m equally disappointed every time it isn’t that. Adding in live actors just made me all that much happier. Seeing them working in front of the green screen and how they brought them into the game and made them feel part of the world was just a treat. And thanks to most of the locations being actual places only spruced up, the live actors fit right in. But more importantly than the quality of the graphics, though it definitely ties into it, they really nailed the atmosphere throughout the game. There’s supposed to be this really oppressive fear weighing down on you, not only because you might get infected and die but also because… well, you’re running out of time and obstacles keep appearing. With weather effects and night to day transitions, the mood was just enhanced to the point of horror where I expected zombies to pop up at any time and I wouldn’t have thought them out of place at all. They also laid a fantastic groundwork in the journal with little news clippings and a number of little videos that showed what was happening out in the world and some people’s last moments alive. They didn’t necessarily add much to the story but what they did add enriched the world significantly in a very positive way. But not everything is sunshine and roses. 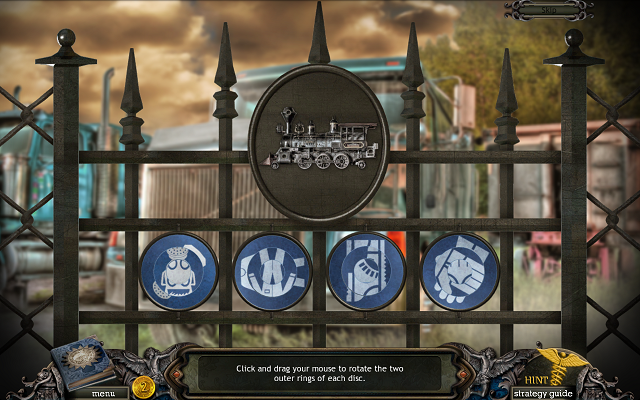 Though the graphics really worked with the story and setting, the puzzles often felt out of place as did some of the more adventure game aspects. Though some do get their explanation in the bonus chapter, a lot of it simply felt out of place for a little town out in the middle of nowhere. Wooden cutouts of roosters, safes that you unlocked using molecule structures, strange locking mechanisms that required you to think three or four moves ahead… it’s not that I doubt these things exist, I just question them being in a town of what looks to be 2000 inhabitants or so. It kind of took me out of the game and while that isn’t something this game alone in this genre is guilty of, it’s so much more noticeable here since it strives for realism. Especially since the hidden object scenes are the kind that I enjoy the most. Namely the kind that sort of make sense. 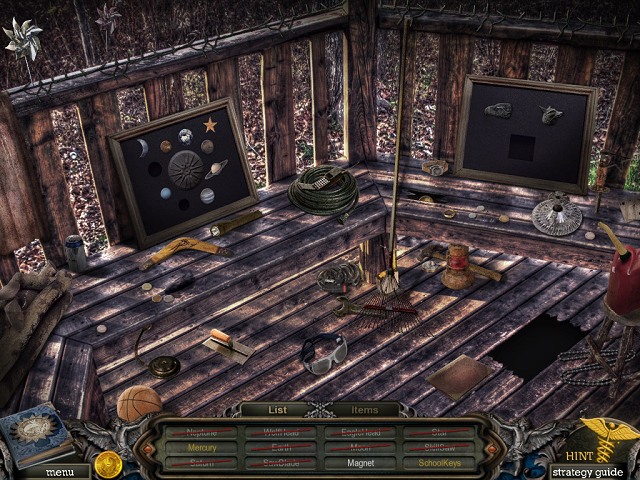 Though they’re, for the most part, straight up list based ones, unlike most other list based hidden object scenes, instead of finding a bunch of items to then get one of them to bring with you, here every item is picked up and used immediately in the very same scene. So you pick up scissors and a key, use the scissors to cut a string around a box then use the key to unlock the box, getting you the item you’re really looking for. Albeit the chain of events is significantly longer in the actual game, usually involving around 12 items or so. It’s very reminiscent of Lost Lands: The Four Horsemen in that way and anything that reminds me of that game is a bonus. Others are more along the lines of fragmented objects in that you have to find pieces of a single object instead of just a list of (in other games random) objects. 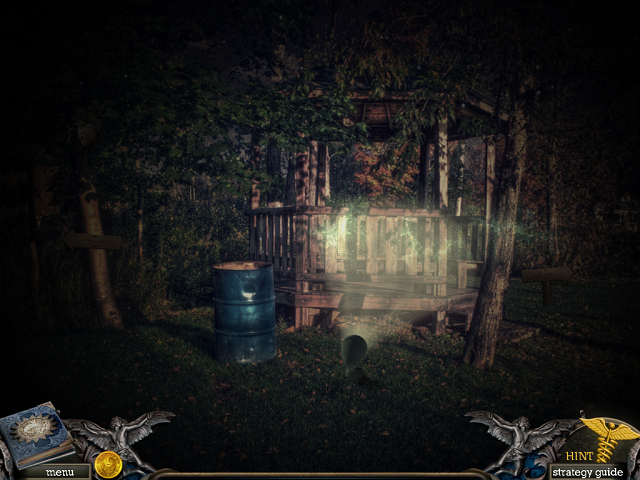 This one pops up maybe two or three times and broke up the routine of the main hidden object scenes which was nice. The scenes themselves were very well designed too, having just enough challenge to make them seem worthwhile but never so much so that it broke the pacing. I never had to use the Hint within a hidden object scene but that’s more my own stubbornness because there were definitely times I had trouble finding an object. But with the bonus chapter they went back to standard list scenes but they kind of had to since it wouldn’t have made sense for these elaborate puzzles to be in place at the time since the extra chapter was a prologue. Though they were still well designed, at that point I’d gotten so used to the long chains of events that they felt so natural that it felt a bit sad to go back. The bonus chapter in itself doesn’t add much, acting instead as a kind of excuse for why many of the puzzles and hidden object scenes existed in the first place. While I do appreciate that they tried to explain it, it still feels a bit… stretched. Despite all of my issues, however, I really enjoyed this game. It was definitely a breath of fresh air since we rarely get realistic games anymore. They used to be all the rage but have as of late fallen out of favor, for some reason. I like the graphics on display, the live actors REALLY work for once, the audio really adds to the atmosphere and the plot is engaging. And it doesn’t pull its punches either. There’s even a dead body in the game and it’s on full display. 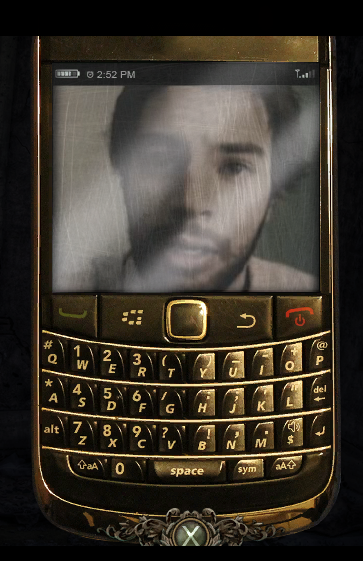 No obscuring or anything and it’s even used as a bit of jump scare which works. That together with the atmosphere kind of made me think of Silent Hill so… good work there. I highly recommend this game, especially to horror game fans.